What size and how many blocks? 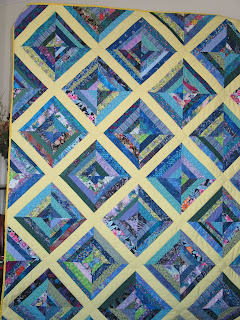 Would love it if you could post that with your great quilts. I am on number 2. Very pretty, I like the blue and yellow Joanne.